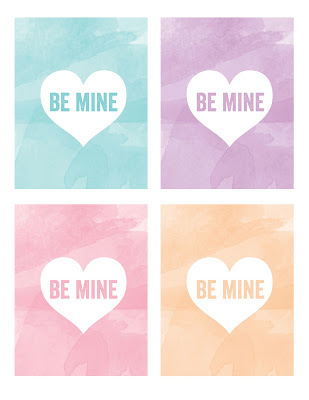 I am in love with the water color inspired conversation heart printables. They come in You're Sweet and You're Cool too! And all three of these Valentine's Day printables can be downloaded for free to use as valentines or just Valentine's Day decorations. You can get all three conversation heart printables over at Blog Guidebook. Thanks for the mention! We've got some more printables too!